Plunge into a thrilling adventure filled with amazing acrobatic feats on a mysterious island! theirs is a love that will be tested. Amaluna opens April 25 th Under The Big Top at the L.A. Waterfront at Port of L.A.
Click here https://www.cirquedusoleil.com/usa/los-angeles/deals to book now and save! 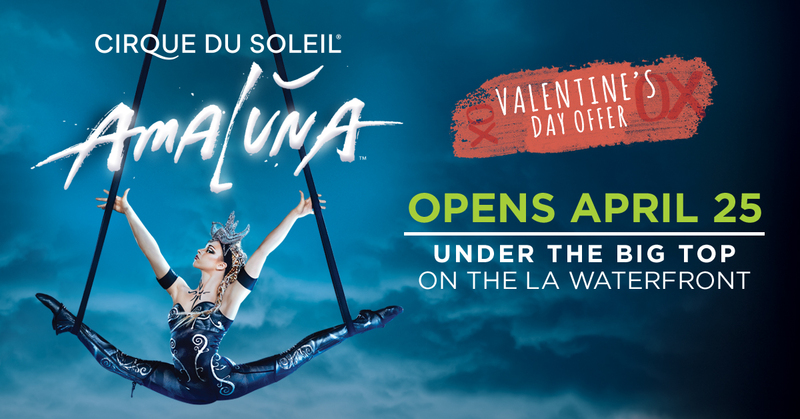 For more information and other ticket options, visit www.cirquedusoleil.com/amaluna.